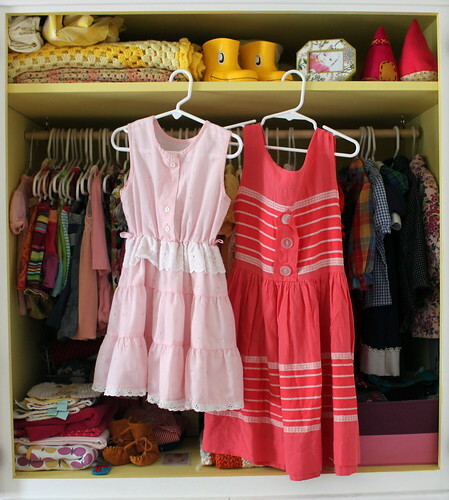 I spent some time purging the kids' wardrobes this week since a new season is upon us. I have kept a few special pieces from Ruby's early months but what can't be transitioned into the fall and winter months is going to a friend. With limited space for all of her clothes/socks/shoes/blankets/crib sheets, I have to keep things as easy to look at as possible or it gets overwhelming. Ruby has more closet space than Brett and I put together. Old houses = Lots of wardrobes. I have been saving vintage dresses and smocks since before we knew we were having a girl almost a year and a half ago and Ruby is finally big enough to start wearing some of them. I have had some luck recently with a few pieces but most of these were thrifted in Springfield and surrounding areas as well as gifts from sweet readers around the time Ruby was born. Plus a few more that were in the wash and one that was so delicate it was torn in the dryer. Sad face. ... has one measly piece of vintage clothing and I only just found it this weekend. Somehow, I don't think he minds. This poor boy does own more clothing but it was sitting in a clean pile in another room that also included a sleeping baby. 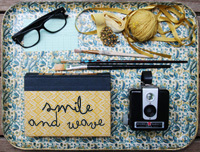 If it isn't from Target or Old Navy, it's been thrifted, handmade, or given to use by sweet people. The mailman hat, for instance, was delivered by our favorite mailman after Sebastian told him he wanted to be a mailman someday. The wardrobe is just a billy bookshelf from IKEA that I found for free four years ago, added a curtain rod to, and covered with wood grain contact paper. This is what it looked like two years ago when his shoes were so much smaller! Ruby wore a vintage red sailor dress and one of the vintage Mexican dresses shown above this weekend while hanging out with the RVA girls. I think the dress shop is her new favorite place! Ruby has the most beautiful little girl dresses I have ever seen! You are such a lovely mum collecting all those dresses with meaning. What a treasure - her clothes and her lovely mum. beautiful spaces! I really like the globes above ruby's wardrobe. I love the dresses, too. so sweet. Wow! I would love Ruby'c clothes in my size :) How adorable is everything!? holy smokes! 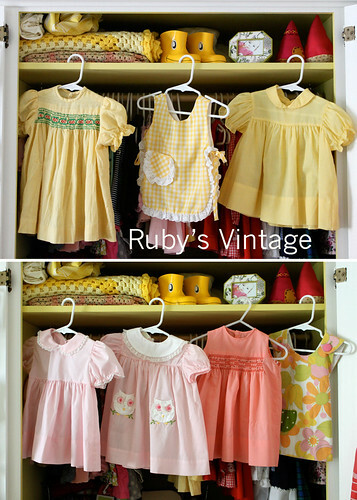 Ruby has super adorable vintage. Very inspiring to start my own collection *with wishful thinking*. 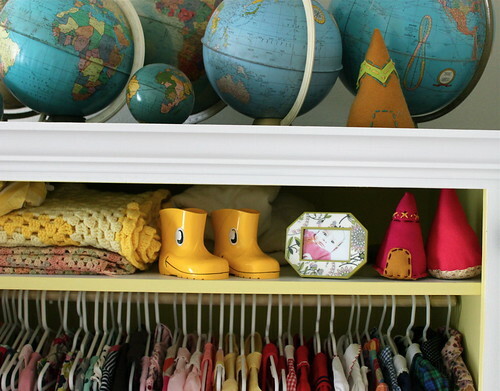 Great ways to display their wardrobe. I like! 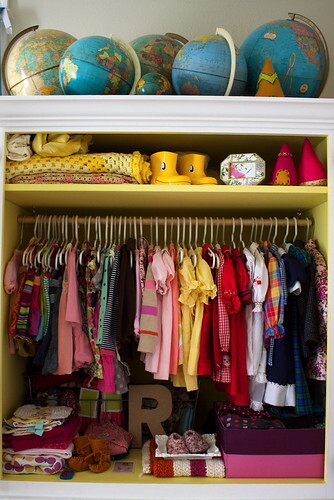 What beautifully organized wardrobes!! 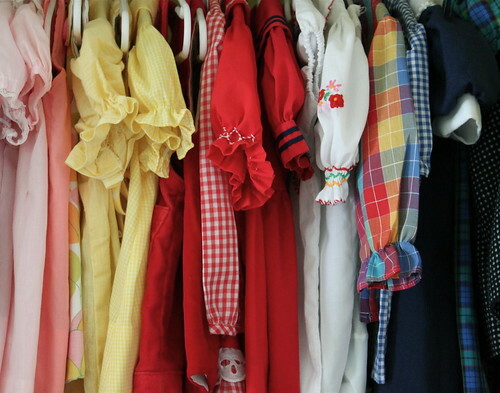 Ruby's vintage smocks are adorable and such pretty colours and patterns. What a wardrobe..! Really nice dresses and I love the pics..
you can come organize my closet, anytime! 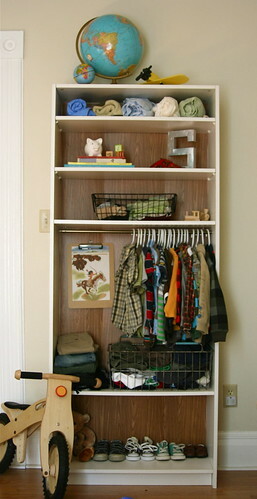 that is the best looking wardrobe I've ever seen, well done! Oh my... I looove all the globes in the room! Do you collect them? Woah I love those globes!!! That little girl is one lucky baba to heve such beautiful things! These are some of the most adorable dresses for kids I've ever seen. Ruby is a lucky girl!! And like the others I really adore your globe collection. I just bought my first one yesterday and am so proud :)! That is so sweet, about the mailman bringing Sebastian the hat. 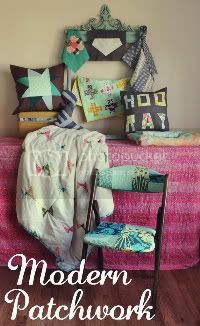 I love the way you decorate! Beautiful spaces!! 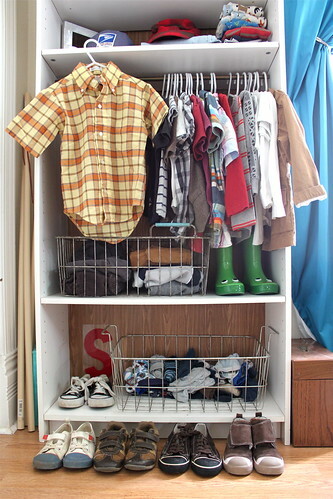 Love the wardrobes-such lucky kids! And I love the woodgrain in Sebastian's wardrobe-so cool. i adore that sailor dress, nice job mama! great vintage wardrobe!!! i love the little one with an owl on it! penelope's wardrobe looks similar! if it isn't from target it is thrifted a hand me down or bought on etsy! 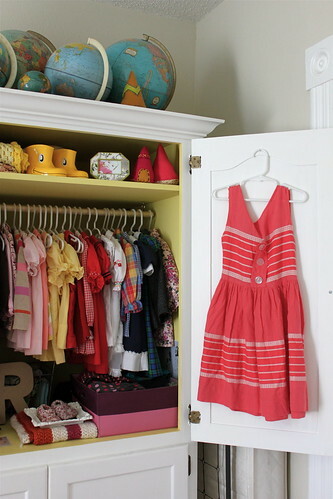 kids can have a great wardrobe that doesn't cost a lot! Love those spaces! I love the fun touches and displays that you have in each of them. The letters, globes. 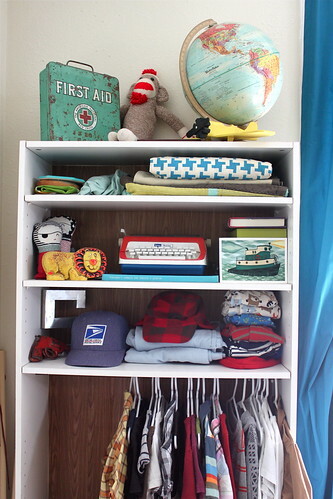 I love that first aid kit on top of S's wardrobe. 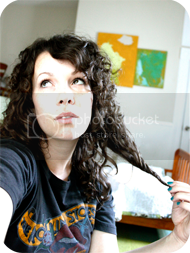 I have one similar to that listed in my Etsy. Love it! And those 2 dresses you mentioned Ruby wearing? Those were my 2 faves looking through the pics. So cute! 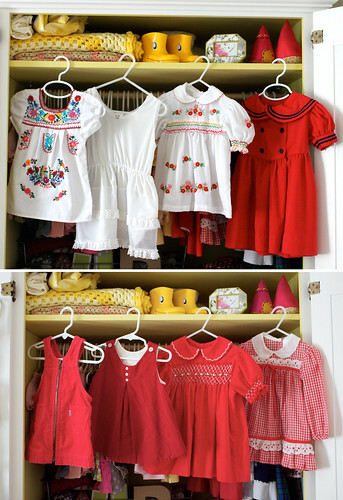 gasp... those vintage dresses are the cutest things i've ever seen! such beautiful colors! what a lucky little lady! With Sebastian's wardrobe, did you use regular screws to mount the rod? Or did you use something else because of how thin the book shelf is? We are getting together furniture for our boys' room that lacks a closet so I have been wracking my brain for an idea to hang clothes. I love how you used a normal book shelf! I love the wee dress with colourful embroidery! How gorgeous, such a cute selection. Love the first aid kit too, awesome colour. Teresa, I used plant hangers that attached to the shelf above them. They are the kind that have a screw on one end and a hook on the other. Just make sure you buy the size that will be big enough to fit a curtain rod through. And be sure to get the smallest rod lengthwise you can and screw your screws about 1/2" wider apart than your rod when fully closed. This will give it the most support. love his closet. that is an awesome idea. the teepees in her room are so cute!! A girl can never have too many clothes. Never. Seb shouldn't feel bad. Boys don't need as many clothes. Ooo Ruby's closet is absolutely delicious! Love it!! 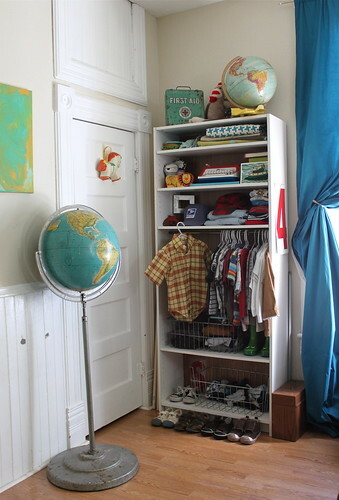 um, I don't even know you, but I would seriously pay you to come organize my house- to make it look that good! It's like shopping in a store, but it's your own home. LOVE what you did with clothes in closets... You have a gift girl.